San Miguel Beer is one win away not just from securing their second straight PBA Philippine Cup title, but, perhaps more significantly, rewriting the history books and becoming the first pro basketball team to complete a remarkable comeback from a 0-3 series deficit in a best-of-seven championship series. The Beermen started from behind the Aces in this one, but they used a stirring fourth quarter windup to take the wind out of Alaska’s sails, and they didn’t even need overtime to do it. 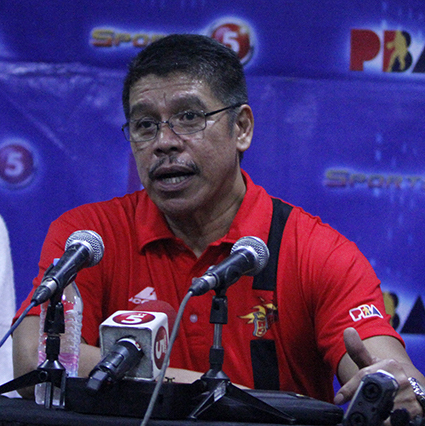 Leo Austria and the Beermen are on the verge of making history. The San Miguel Beermen set the stage for a dramatic finish in the SMART BRO PBA Philippine Cup Finals after forcing an unprecedented Game 7 in the best-of-seven title series following a 100-89 win over Alaska on Friday at the SMART-Araneta Coliseum. With the win, San Miguel became the first PBA team to force a Game 7 after falling behind 3-0 in any playoff series, according to PBA head of statistics Fidel Mangonon III. With another win, they have a chance to top that and win the All-Filipino conference’s championship for a second straight year. Marcio Lassiter scored 26 points – 17 of those in the fourth quarter – to lead SMB, while June Mar Fajardo added 16 points and 7 boards despite still not being 100%. Yancy De Ocampo, Arwind Santos, and Alex Cabagnot all finished in double-figures as well. Vic Manuel starred for the Aces anew with 21 points and 9 rebounds off the bench, while Calvin Abueva tallied 17 markers and 9 boards. Game 7 will be played at the Mall of Asia Arena on Wednesdau, February 3, 2016. Vic Manuel (ALA) - 21pts, 9rebs, 1ast, 1blk, 9/14 FGs. Marcio Lassiter (SMB) - 26pts, 9rebs, 4 triples, 7/13 FGs.